Yes, you can pay a premium for dried porcini and if you’re really particular about your mushrooms it might even be worth it. The mushrooms in that shop were likely the best quality porcini, with large unbroken slices. Since that story happened some years ago, the price is likely higher as well. 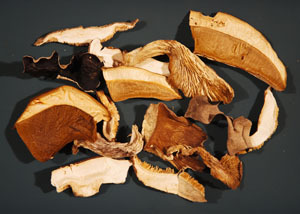 In Europe, several grades are sold, depending on quality, size and how well the mushrooms are dried. 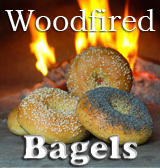 You can hunt your own, and either eat them fresh or dry them for later, during which process their flavor intensifies. Porcini, also called Ceps, King Bolete and Boletus Edulis, range widely across the Northern Hemisphere. They are easily recognized by the sponge under their cap, bulbous foot and pattern of webbing on the upper half of their base. You can buy lower quality porcini, which will have broken pieces or may be bruised. After you’ve made a broth or a long-simmering recipe with them, you probably won’t notice the difference. You can buy mixed wild mushrooms in small packages in many grocery stores. They will yield an intense gravy you can infuse into more readily available crimini or button mushrooms as I’ve done in the recipe below. 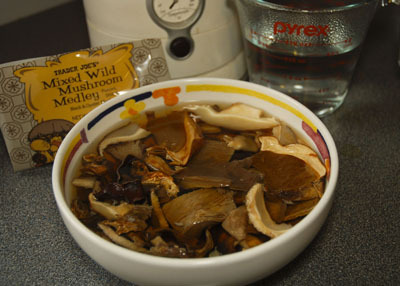 Reconstitute the mushrooms: Put dried mushrooms into a small saucepan and add 1½ cups boiling water. Let sit for 20 minutes. Bring to a simmer over low heat for a few minutes and then turn off the heat again. Even though the package tells you that 20 minutes steeping is sufficient, I find that 40 minutes is better. When the mushrooms have finished steeping and have cooled somewhat, squeeze the juice out of all the mushrooms and put the spent mushrooms into a bowl. Save the juice in the pan for the next step, decanting to remove debris if necessary. Reduce the broth: Put the saucepan over medium-low heat and let simmer rapidly. When broth has reduced by more than a half, lower the heat and gently simmer until you have reduced the liquid to ¼ cup. This process will take 20 minutes or more. Crisp the bread: Drizzle 1 teaspoon olive oil onto a sheet pan. Touch each piece of bread to the oil and then turn over. Bake in a 350º oven for 10-12 minutes per side (325º for 10 minutes per side if using convection). You want the toast to be crisp but not browned, and not as hard as croutons. A little softness on the inside is okay. Times will vary depending on your oven and the type of bread you use. Make the mushroom topping: Chop the crimini mushrooms finely. Add 3 teaspoons olive oil to a 10” frying pan, add the mushroom dice and the salt, and slowly cook over low heat. For best results, the mushrooms should take at least 15 minutes to cook. Add finely chopped garlic (or use a press) and the pepper in the last 5 minutes. From the squeezed mushrooms, find the softest pieces, which will be the porcini. Chop these and add to the mushroom dice. Discard the other mushrooms. Right at the end of cooking the dice, add the reduced mushroom broth. 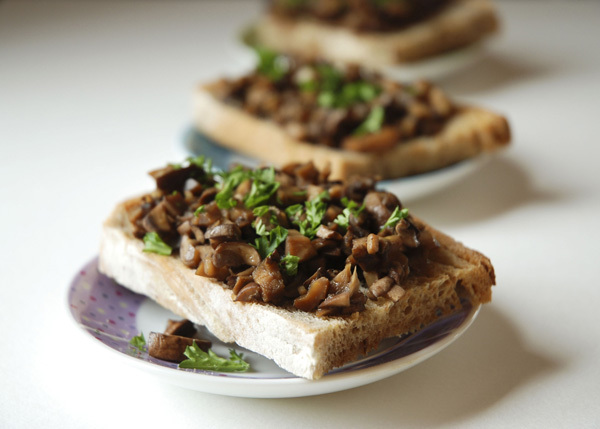 Build the bruschetta: Put the toast pieces onto a platter and scoop on the mushroom mix. Top with chopped parsley. Serve the bruschetta warm or at room temperature. Note: If you’re serving these bruschetta at a stand-up party, bake on a half-teaspoon of shredded parmesan per piece to hold the topping in place. 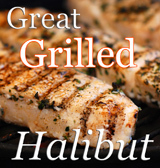 Sounds like a terrific appetizer! I like the wild mushroom mixture! This is heaven on a plate. I mix and match the mushrooms according to availability and price. There is nothing better. I am going to try your version – all those goodly ingredients. I wish we had Trader Joe’s in Denver… This looks delicious. You amaze me. Keep up the good work. I agree with April, this could easily be dinner with a little blue cheese on the salad and a nice glass of wine to go with it! I saw your comment on Cahideninelleri, you asked about “maydaboz” there is a wrong letter Cahide will see and correct it but I wanted come and say to you, correct is “maydanoz” i think it is “parsley” in English. Beautiful photo! Mushrooms can be so difficult to photograph and you did a wonderful job. I would love to search for my own mushrooms and will have to find the opportunity to do so one day (with guidance, of course). You can get porcini or other dried mushrooms at most big grocery stores and from specialty food shops, but they’re often hidden. I’ve seen similar packets to the one I used in the produce section of a large Safeway, for instance, on a little rack under the garlic and onion display. At DeLaurenti in the Pike Place Market here in Seattle, a variety of dried porcini offerings is on a pillar by the deli counter. As in the woods, they’re there – you just have to find them! Original bruschetta! And they look delicious. Thanks for sharing! gorgeous pictures thanks! looks amazing !